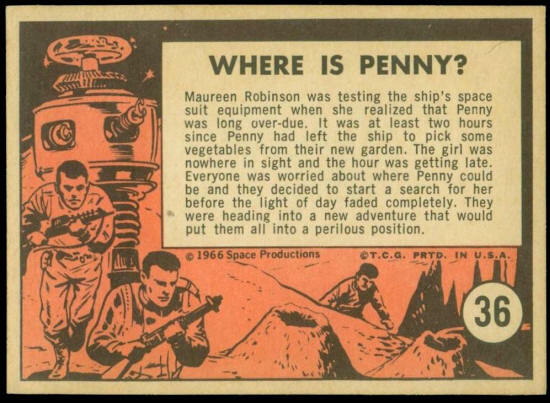 Lost in Space, Where is Penny? 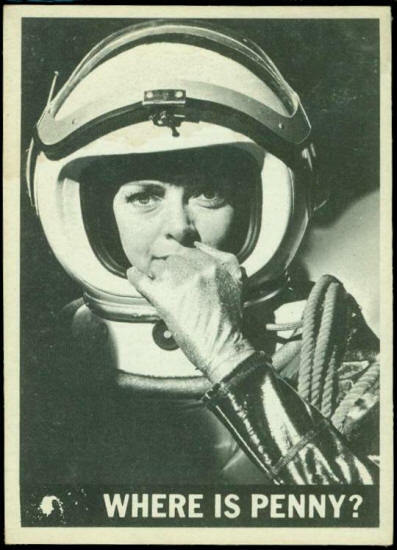 Maureen Robinson was testing the ship’s space suit equipment when she realized that Penny was long over-due. It was at least two hours since Penny had left the ship to pick some vegetables from their new garden. The girl was nowhere in sight and the hour was getting late. Everyone was worried about where Penny could be and they decided to start a search for her before the light of the day faded completely. They were heading into a new adventure that would put them all into a perilous position.